Technology today is at the core of modern-day activism, with civil society organizations like Connected Development (CODE), BudgIT, Enough Is Enough, TransparencIT, FollowTaxes and others utilizing social media, data analysis tools, and infographics tools available to simplify the message, increase reach and also make advocacy data driven. Their efforts exemplify the importance of technology and data to active citizenry. Many civil society organizations are learning to build up their skills to ensure advocacy on issues are backed by facts and are data-driven. 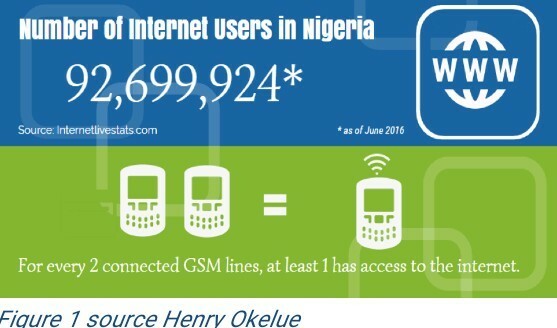 Nigeria is active in technology space with almost 93 million internet users, Facebook alone has almost 15 million users in Nigeria and over 250 million tweets came from Nigerians as of 2015, this coupled with the work Andela, Ventures Park, Google, Colab, and Facebook are all doing tirelessly to build capacity of youths on programming, digital skills and also to create a self-sustaining technology ecosystem in Nigeria. This has started yielding results as many technological innovations designed in an attempt to improve transparency and accountability, renewable energy, housing, financial and transportation issues have surfaced. Hotels.ng, BudgIT, Payant, Taxify, Flutterwave are noteworthy examples. Governance should be every citizen’s business whether you are in government or not. Active citizenry is not limited to constant criticism of the government but taking part in decision making at local level. It is important citizens are in the know as to the plans of the government to enable them demand accountability in service delivery. Technology provides arrays of platforms especially for social media that citizens can leverage to perform their civic duties effectively, noteworthy examples of this are the #OPenNass, #BBOG, #JudiciaryactonJibrinKiruBebeji and also the recent #ReformSARS twitter campaign. which all aided in activating citizens and pressured government into taking positive action. The government, as we have come to know, is reluctant in performing its duties. Most times they have to be pressured by citizens and civil society groups to deliver on their promises. To sustain that pressure, citizens/civil society groups rely on technology to do so. But more importantly, there is a need for collaboration between citizen groups and civil society to come up with ideas, strategies, and roadmaps to better engage the governance structure effectively. Recently, I came across a mapping of innovation hubs in Nigeria (turns out we have one in all geopolitical zone with some zones having more than one) and I am of the view that citizen groups and civil society organizations can tap into this resources to their benefit. It is of immense importance for citizens groups and civil society organizations to develop a better partnership for the sake of activating citizens, amplifying the impact of their work and better hold the government accountable. Correspondingly, a proper synergy between media, civil society, and innovation hubs will go a long way in making sure both civil society and media are equipped with necessary technological tools to ensure sustainability in their engagement. Just like, BudgIT one of the biggest civic tech platforms in Africa started from an innovation hub (CcHub) in Lagos, perhaps the next big 30 civic tech platforms that will help improve transparency, accountability and communication between government and citizens are only a few partnerships away.